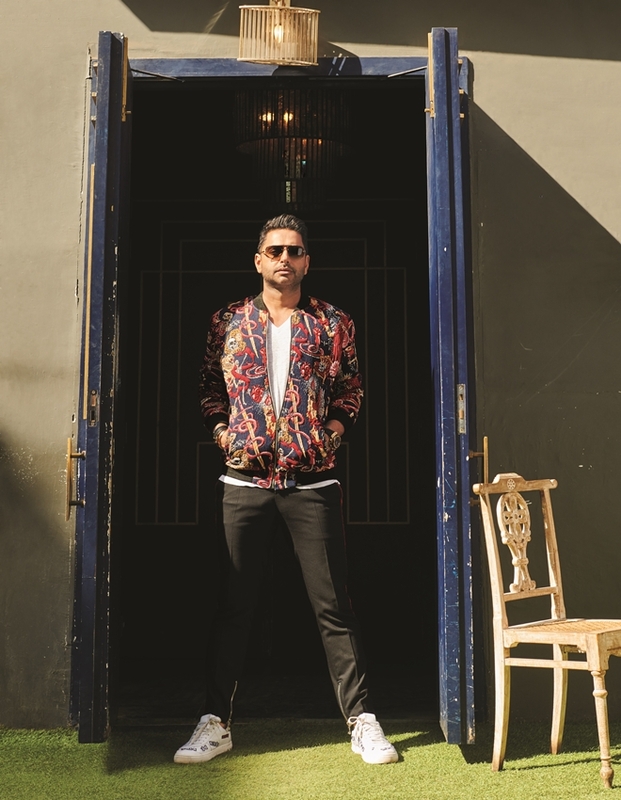 Born in Zambia, educated in England and living in America, Rohan Oza is a third generation African. He holds two passports — neither of them Indian — but, as a nation, we’ve already claimed him. Much like space explorer Sunita Williams before him, the bronzed billionaire has been co-opted as our new national treasure, though we have barely a trickle of a claim. Not that Rohan minds. “I have four cultures in me now, but I am more Indian than anything else — if you consider celebrations, temple visits, food, music or language. My Hindi isn’t too good, but I speak Gujarati. I am half-Maharashtrian, but I claim the Gujju side. It seems Gujjus are dominating in India these days, so that works in my favour,” he laughs. Though much of our exchange is in jest, you should take Rohan Oza seriously. At one point, he proceeds to sing Chaudhvin Ka Chand Ho (marks for passion, not pronunciation) and confesses to Balam Pichkari being up there with Dua Lipa’s One Kiss on his playlist, when it comes to getting a party started. “Indians are great at business,” Rohan adds, citing another cultural commonality. His business chops are, after all, the reason he has landed a recurring spot on one of network television’s hottest shows in the US. Alongside regulars Mark Cuban, Barbara Corcoran, Lori Greiner, Robert Herjavec, Daymond John and Kevin O’Leary, Rohan appears as a guest on ABC’s award-winning reality show Shark Tank. A fan of the US version myself, I’m not sure that’s a good idea. “Why mess with a good thing?” I ask, considering the quality of some other spinoffs, but Rohan is entirely invested in the initiative. “It was Dragons’ Den in the UK that became Shark Tank in America and Canada,” he says, explaining his conviction that an Indian version could do exceedingly well. “India is the market to do it in, because it’s a business country. We love three things here: Music, cricket and making money. I would totally come on board for it,” he adds. Time, however, is a commodity he is short of. Already extended with investments in several companies, Rohan knows his portfolio needs trimming. “I’ve got to sell some companies because I’d be doing a disservice to the founders if they can’t get a hold of me,” he says, mindful of the fact that good brands can get money from anywhere. “They want time with me and I’ve got to be respectful of that,” says the A-list entrepreneur. 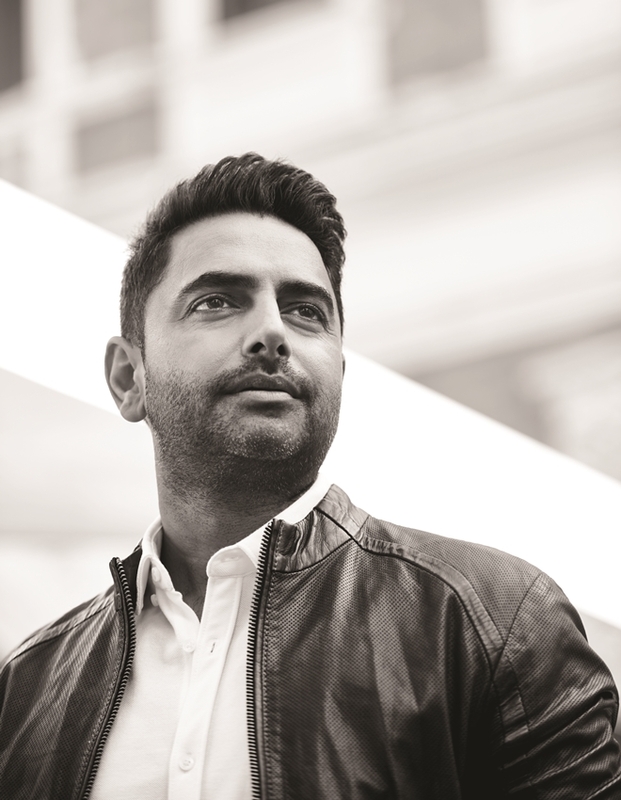 Truth be told, Rohan Oza is a venture capitalist with a difference. He is a disruptor in the best possible sense and is intent on changing the landscape. “I want to give people access to products that help them feel better about themselves. I want healthy alternatives to be within an arm’s reach of desire,” he explains, while theorising that the millennial and Gen Z generation will be defined by this need. “Philosophically, my belief is that the brands of yesterday will not be the brands of tomorrow in food, beverage and beauty. The brands of yesterday may buy the brands of tomorrow, but the brands of tomorrow will be focussed on making you feel better about yourself.” What goes in your body (food and beverage), on your body (beauty) and how you treat your body (fitness) — those are the big four, according to Oza. Having connected Jennifer Aniston with Smartwater, Rihanna and Madonna with Vita Coco and Beyoncé with Wtrmln Wtr, Rohan has reinvented endorsement deals for some of the world’s biggest celebrities. Sharp as a tack, it’s no accident that Rohan refers to himself as Weiss’s ‘consigliore’. It is a word that connects instantly to a moniker he’s made his own, after a magazine in the US first called him ‘Hollywood’s Brandfather.’ “Doesn’t it make you sound older than you are?” I tease, but Rohan is quick to retort, “If you think of ‘brandfather’ like ‘grandfather,’ then I see what you mean. 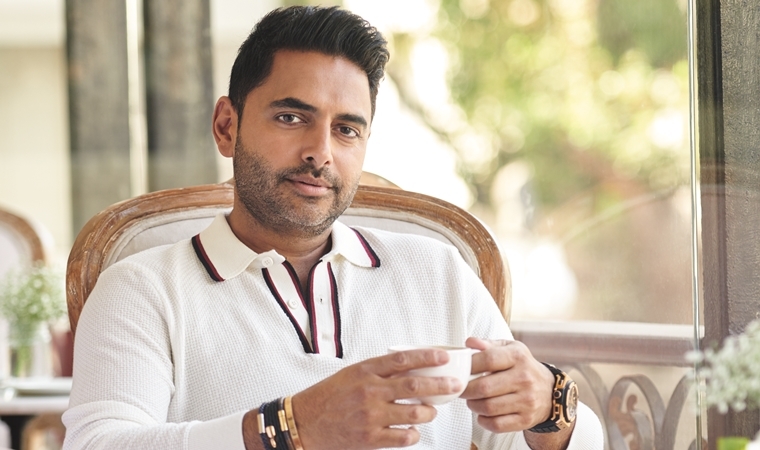 But it’s more ‘godfather’ than ‘grandfather,’ so I can hardly take offence.” With the New York Times describing him as “the go-to broker between small companies and big celebrities,” it is clear Rohan’s star is rising. Having connected Jennifer Aniston with Smartwater, Rihanna and Madonna with Vita Coco and Beyoncé with Wtrmln Wtr, Rohan has reinvented endorsement deals for some of the world’s biggest celebrities. His claim to fame comes from offering “skin in the game,” rather than a traditional one-time fee for appearing in brand advertisements. These deals aren’t about signing up a ‘brand ambassador,’ they’re designed to bring celebrities in as partners and co-owners in companies that have potential, but haven’t quite made it yet. It’s a well-documented fact that rapper 50 Cent, aka Curtis Jackson, kick-started this movement with Rohan. Their deal on VitaminWater resulted in a massive payday for the rapper when Coca-Cola bought the brand (and its parent company) for $4.1 billion in 2007. Today, Rohan plays golf with Justin Timberlake and, occasionally, tennis with Bill Gates. At the Vanity Fair Oscar-night bash in February, he hung out with Priyanka Chopra and Nick Jonas. He offers high praise for Ashton Kutcher — “Probably one of the smartest celebrities I’ve ever dealt with”— and recalls with a smile his last Diwali party in the US, where Mötley Crüe’s Tommy Lee and supermodel Tyra Banks were among those present. Impressed by America’s “amazing attitude towards philanthropy,” Rohan makes it a point to give back by supporting a charity that works with hearing-impaired children in India, Africa and Latin America. “I kept feeling like I wasn’t ready (to do charity) initially but, at some point, you’ve just got to do it. You don’t have to raise 20 million at the onset, you just have to get the ball rolling. If you’re not doing it, you’re a bit of a sponge,” he says. Despite his large circle of celebrity companions, Rohan has a tight inner circle; populated mostly by family and friends from school. For a bloke who doesn’t date on the Hollywood scene (“I’m not looking for a relationship for PR purposes”), Rohan seems to be bending the rules in Mumbai. When I discover he’s been on a date at Soho House (possibly with an actress) during his time in the city, he blushes beet red. “I’m very public as a person, but the one thing I’m private about is who I’m with. It’s time now though,” he says, making a reference to Who Wants To Be A Millionaire when he adds, “For 500 dollars, I’ll go with ‘getting married’ please.” If finding several million dollars for a fund is easy enough for biz wizard Oza, a wife should be no problem at all. Frankly, there ought to be a line around the block. Are you an art aficionado or a collector of any sort? Honestly, I am terrible with art — I probably have the least number of works relative to my homes. “It’s the success I’m most proud of,” he say. I’ve started to collect watches, but I don’t have that many yet. How many watches do you currently own? Tell us about your homes. I live in New York, Los Angeles and the Hamptons, plus I have a ski place (in Montana). Honestly, balancing it all is very tough for me, but being able to get away to bond with my family and friends in the privacy of a home I own — it means a lot to me. This is my way to unwind and relax and to share (my way of life) with the people I love. Is there a wildly indulgent purchase you’ve made that your parents don’t approve of? Well, I don’t gamble and I don’t drop money on crazy stuff, but I do fly a lot, so my biggest extravagance has been a private plane. My parents were like, “What did you buy?” (laughs). Indians love real estate, so properties are an ‘investment,’ but a plane is definitely a ‘splurge’. My extravagances are very much about experiences: homes, vacations, travelling — that sort of thing. When was the last time you really partied hard? I had a birthday recently in Cabo (San Lucas) and we went down to the beach on our last day in Mexico and danced on picnic tables! I’m not sure how it happened, but one minute I was playing Balam Pichkari on a boombox and the next we were nine people — three to a table — dancing like crazy. Somehow the five people who weren’t dancing became self-appointed judges, making it literally an impromptu dance off. It was a mixed group — a Russian model, an Australian model and a handful of Indians — and it was hilarious. Well, that’s Plan B if this doesn’t work out (laughs). I love to dance. I do Bollywood, Salsa and Hip-Hop. My friends tease me about it all the time! I might be the only backup dancer in Bollywood with a jet, but what the hell — it could happen. You need to be 110 per cent engaged, dedicated and passionate… only then can you create a company that has a culture that can break through. People always want to know how to create a brand that will bring in billions of dollars. The key ingredient is passion. Success follows it. If you are not passionate about your idea and your brand, no one else is going to be passionate about it either. You’ve got to have a real idea. A lot of people come into the Tank with ‘me too’ ideas — and, to be fair, some of them work — but I believe you will always do better when you have a clear, differentiated idea. It should be something that people want, that doesn’t already exist. You should believe in your idea enough to defy experts if necessary. That’s most likely to get you noticed. Don’t be greedy. That’s one of the things I’ve learnt with time. I’ve had some great successes with exits where we’ve pushed the envelope really high and got the number. There have been other deals, unfortunately, where we pushed too far and the deal fell through. I think it boils down to knowing the number. If you want to sell your house for a million dollars but everyone is offering you 800 thousand, you’ve got to recognise the number is the number. You take the 800 and that’s that. 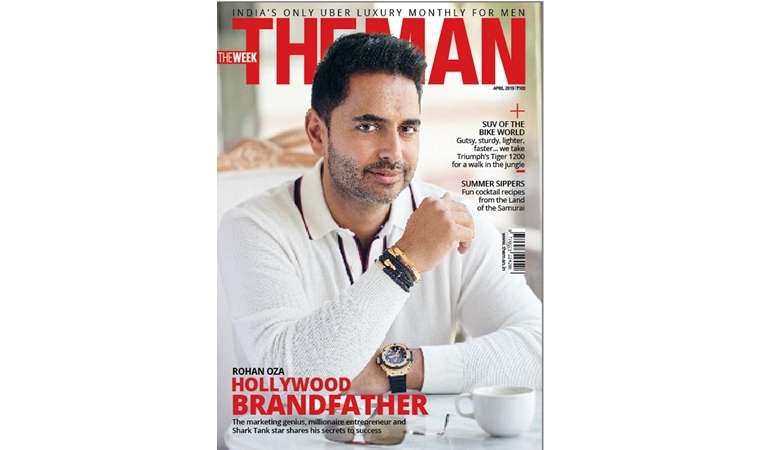 Rohan Oza on THE MAN's April cover.